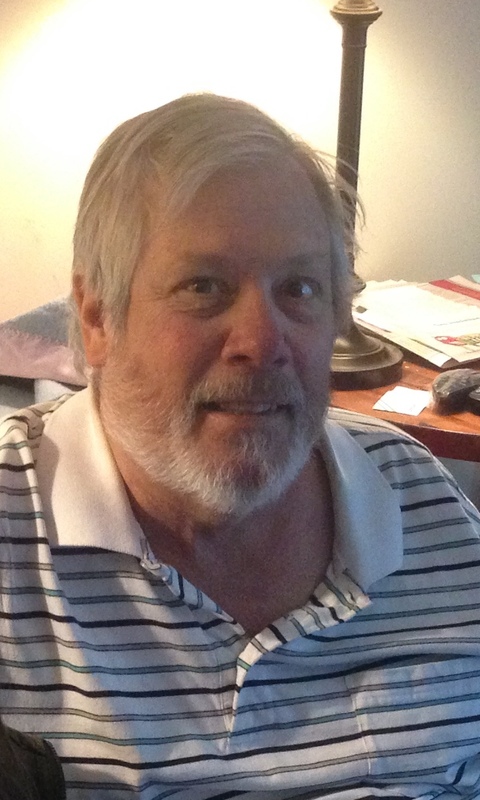 David William Phillips, age 59, passed away on Tuesday December 4, 2018. David grew up in Shaker Heights, Ohio, a Cleveland suburb, where he had an idyllic childhood, creating adventures with his friends from morning until dark. He graduated from Shaker Heights High School in 1977, sang in the school choir, played ice hockey on the varsity team, and played bass guitar in a rock band with his friends. David later graduated from Kent State University, and worked in the Cleveland area in recreation management. He later moved to the Denver, Colorado area where he worked for ten years in transportation for the Cherry Creek Schools. In 2014, David moved to the Nashville, Tennessee area to be closer to his mother and sister, and most recently worked for Anchor Transportation. Dave had a keen wit and an incredible sense of humor. He was a history buff, loved old cars, had a beautiful singing voice, and loved to write poetry and short stories. Throughout his adult life, David rescued dogs, specifically Australian Shepherds. Despite the rush of today’s world, Dave always found time to be a wonderful listener and took the time to be truly present, which was a gift to all who knew him. David was predeceased by his father, William G. Phillips of Shaker Heights, OH. He is survived by his mother, Rosemary Phillips of Mt. Juliet, TN; sister, Catherine Brown (Douglas) of Mt. Juliet, TN; sister, Cindy Billings (Douglas) of Santa Barbara, CA; sister, Carrie (Roy Dimoff) of Miami, FL; brother, Donald of Aberdeen, Scotland; his nephews, Nathan Brown of San Mateo, CA; Jonathan Phillips and Benjamin Phillips of Aberdeen, Scotland; his nieces, Christine Brown of Columbus, OH, Felenka Phillips of Aberdeen, Scotland, Natalie Billings of Goleta, CA; and his special four-legged friend, Oscar (Brown) of Mt. Juliet, TN. The family would like to sincerely thank Alive Hospice of Nashville for the wonderful care and comfort they provided to David and to his family during a very difficult time. Because David so loved helping rescue animals, in order to honor David’s memory, memorial contributions can be made to Safe Place for Animals, 905 Mallard Drive, Gallatin, TN 37066 (www.safeplaceforanimals.com), or to any charity of choice. A memorial service for David will be held on January 20, 2019, at 3:00 P.M. at Carrick Glen Senior Living, 100 Carrick Ct., Mt. Juliet TN 37122. A graveside service will be take place on April 8th, 2019 at 1:00 P.M., at Lakeview Cemetery, 12316 Euclid Ave, Cleveland, OH 44106. A celebration of life reception will follow the graveside service, on April 8th, at a location and time to be announced. Friends and family are cordially invited to attend all events to celebrate the life of Dave Phillips. For all of Davids first cousins and Aunt Lois from Texas and Colorado, he will surly be missed. His intelligence and great sense of humor has always been a highlight of our many times together over the years. We all will miss him very much. Thank you, Rick. We are all missing him but glad we have the great memories. Hope to see you soon. Dave will forever be my best friend in my heart. Matt- you were truly so important to Dave. I hope you will be able to make the celebration of life on April 8th. Sincere condolences to David’s family and especially his mother Rosemary, a dear friend. May your fond memories of David always be with you. Thank you. I shared your condolences with my mother. I was a teacher and coach at Shaker Hts. HS. I fondly recall David as an engaging, kind, and talented person. So sorry to hear of his passing. So sad to hear of Dave’s passing. Dave and I went to the same elementary school, jr high and high school and played high school hockey together. Years later we reconnected as we shared the same college major (different schools). Dave and I reconnected again two years ago through social media. I shared pictures this past autumn as I repainted the interior of his childhood home. I always loved Dave’s easy going personality, sense of humor and intellect. Sending my deepest condolences to the Phillips family. I’m so sorry. Dave and I grew up together. I was about 9 when we met at Boulevard Elementary School in Shaker. We rode bikes, played kick the can, swam in a backyard pool, played football and just were kids. The group of kids we hung out with ruled Warwick Road….Later, in high school Dave and I were in the same singing groups and we had much fun. After high school I lost track of Dave and didn’t see him again until 1996. We talked for a while outside during a snow storm!! I’ll always remember Dave for being a good human being. He was hilarious at times and always very clever in his thinking. I’ll miss him very much and I’ll be at the service in April. I know there’s a God and I bet Phillips is making him laugh! I’ll see you one day, Dave!! Good dude. I knew him from choir and he played bass for a band we were in together. Always had a laugh and a smile. I know he is missed. Graduate of the same class of David, 1977, although are paths didnt cross much duribg school, i loved watching him on the Ice playing hard for our Raiders. Thanks for the MANY CHAMPIONSHIP WINS DAVID.